Patriotic People CARE: I celebrated last July 4th weekend. 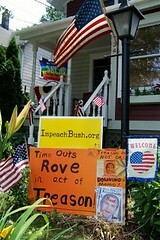 Finally Rove will be indicted! We are making progress, but still have far to go before our democracy will be restored. I hope we will feel like celebrating our democracy this July 4th.